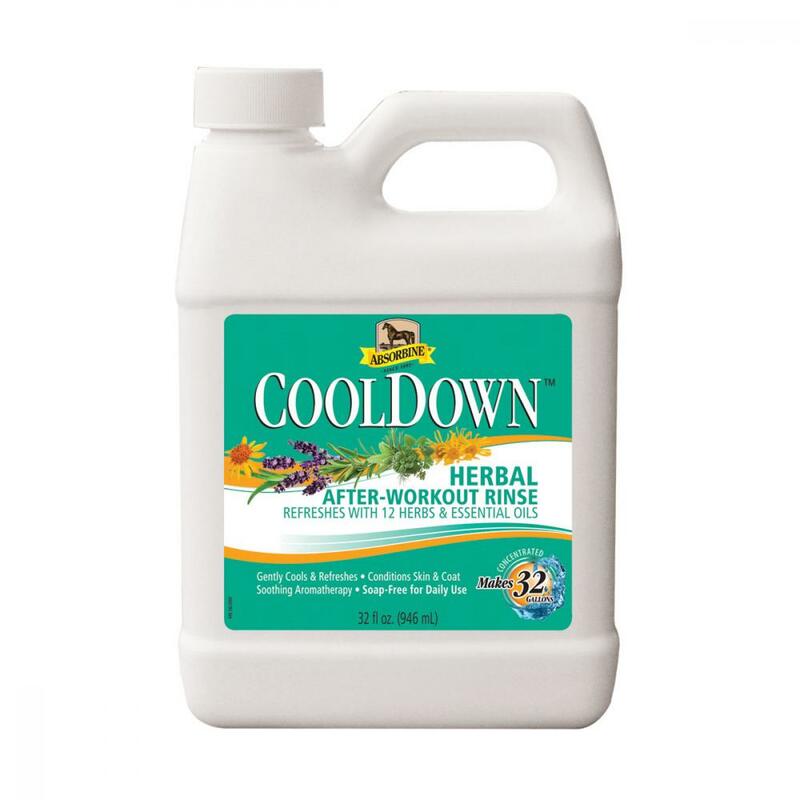 Absorbine CoolDown cools and refreshes after workouts and on hot days. Made with 12 herbs and essential oils, it also conditions the skin and coat, helping to replace oils that may be lost due to sweating. The soap-free formula cuts through sweat and grime with no need to wash off and is ideal for daily use. It is great for horses who may not tolerate strong liniments. There are currently no questions for Absorbine CoolDown - be the first to ask one!